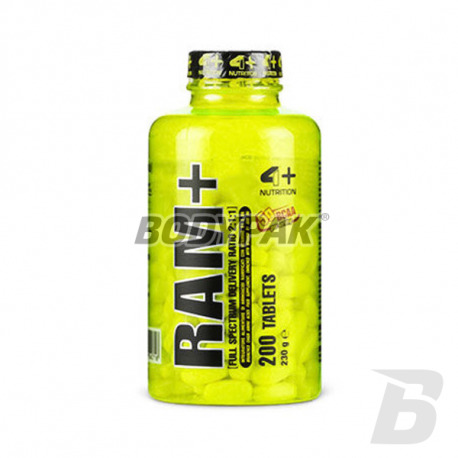 Amino AcidsFOURPLUS 4+ Ram+ (BCAA) - 200 tabl. FOURPLUS 4+ Ram+ (BCAA) - 200 tabl. Best BCAA branched amino acids on the market in the proven 2: 1: 1. Brake catabolism, which eats your muscles while you sleep! The product is used by many bodybuilders in the world. FOURPLUS 4+ Ram+ (BCAA) - 100 tabl. FOURPLUS 4+ Ram+ (BCAA) - 400 tabl. 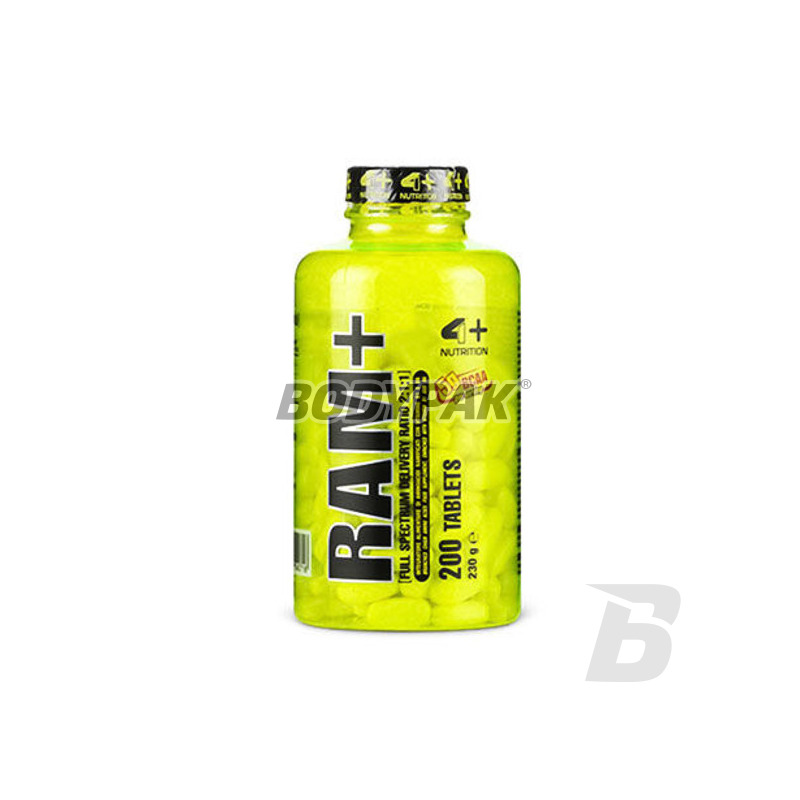 4+ RAM + is the best product currently available amino acid (BCAA) on the market. With high-quality amino acids contained in this supplement, you will be able to stop their raging catabolism who eats your muscles. Proper supplementation has a positive effect on the growth of muscle tissue and strength. The secret lies in the positive nitrogen balance, which is necessary for the proper conduct of anabolic processes. With BCAA contained in 4+ RAM + Your muscles will be properly nourished which will result in the continual proliferation, as well as protection against catabolism. A characteristic feature of the product 4+ Nutrition is that one tablet provides as much as 1000 mg of the active ingredients. Składniki: L-leucyna; L-izoleucyna; L-walina; stabilizatory (celuloza mikrokrystaliczna, hypromeloza, guma arabska, guma ksantanowa); substancja przeciwzbrylająca (sole magnezowe kwasów tłuszczowych, dwutlenek krzemu); witamina B6; witamina B1.